Liquid Nitrogen, also known as LN2 is an odourless, colourless, non-flammable nitrogen. It’s extremely cold with a boiling point of -196°C and has great dangers associated with it if it is not handled properly. And yet, 2 huge pressurized canisters of Liquid nitrogen can be seen at one of the very important public places. In Manhattan, at the intersection of 6th avenue and the 50th street, in front of the well known radio city music hall, sit these 2 big canisters of Liquid Nitrogen. Probably thousands pass by these potentially dangerous cryogen containers everyday. Still, never has an accident occurred there. Why these containers are there is a good question to ask. And they have been kept there for a very good reason. These canisters belong to a phone company and are used to keep the underground phone cables cool, dry and free from oxygen. Because these wires getting wet from the underground municipal system, isn’t very desirable to the phone company. The nitrogen continuously keeps circulating and finishes off in about three days. The canisters are then replaced. 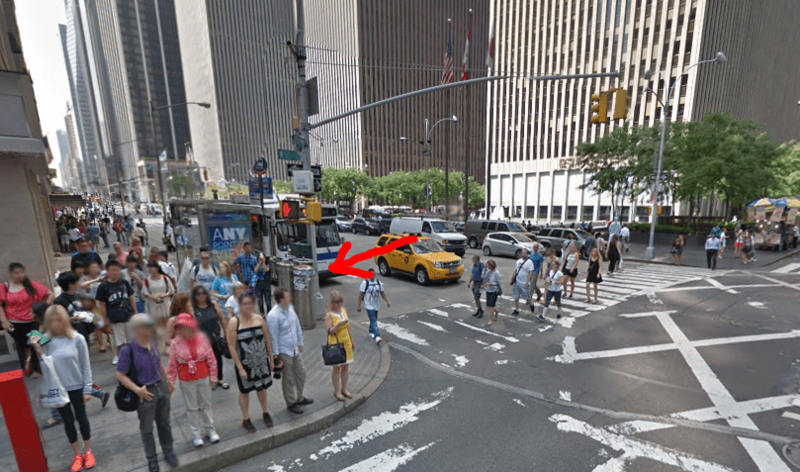 Here’s a Google street view image I captured where these Liquid Nitrogen canisters can be seen on the sidewalk. Tom Scott talks about them.